The European Court of Human Rights has been very busy over the Easter Term with over 400 judgments handed down dealing with human rights questions raised in almost all member states of the European Convention on Human Rights. Summaries of some of the cases heard appear below. Al-Saadoon & Mufdhi v UK (App No. 61498/08) (2 March 2010) This was a case about two Iraqis taken prisoner by the British troops in Iraq and handed over to the Iraqi authorities against the ECtHR’s previous orders. The ECtHR found a violation of Article 3 (prohibition of torture) as the two prisoners had been exposed to the death penalty which they would face in Iraq. This judgment is important in the context of a series of decisions and judgments on the death penalty (see paragraph. 123 of the judgment). Kononov v Latvia (App No. 36376/04) (17 May 2010) The ECtHR rejected an application filed by Vasiliy Kononov against Latvia in respect of his conviction in 1998 for the murder of 21 innocent civilians during World War II. Mr Kononov denied participating in the attack and claimed that the “innocent civilians” were in fact Nazi collaborators that were tricked into admitting they had tipped of the Nazis. Mr Kononov filed his application with the ECtHR on 27 August 2004 arguing that his conviction for war crimes violated Article 7 (prohibition on retrospective criminalisation). In July 2008 the Chamber of the ECtHR found that Latvia had violated Article 7 because “no person may be punished for an act that was not a criminal offence at the time of its commission”. 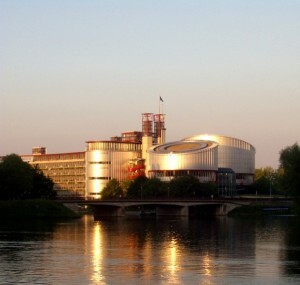 However, the Latvian government successfully appealed the judgment to the Grand Chamber of the ECtHR. Kozak v Poland (App No. 13102/02) (2 March 2010) The ECtHR held that a blanket exclusion of persons living together in a homosexual relationship from succession to a tenancy was, in the context of the case, not an acceptable way of defending family values. The ECtHR found a violation of Article 14 (prohibition of discrimination, in this case on the basis of sexual orientation) in conjunction with Article 8 (privacy). Oršuš & Ors v Croatia (App No. 15766/03) (16 March 2010) The ECtHR found that the segregated education of many Roma children in several Croatian towns for the reason of language deficiencies, was not accompanied by sufficient safeguards and thus violated Article 14 (prohibition of discrimination) together with Article 2 of Protocol 1 (the right to education). Oyal v Turkey (App No. 4864/05) (23 March 2010) The ECtHR ordered Turkey to pay lifetime medical coverage to a teenager infected with HIV. The case concerned a boy born in 1996, who was given blood transfusions for medical reasons right after birth. A few months later the boy’s parents were told that due to the transfusion, the baby had become infected with HIV which could develop into aids. The ECtHR ruled, in line with earlier case law on medical situations, that the life-threatening nature of the disease brought the case within the scope of Article 2 of the Convention (the right to life) and held unanimously, that there had been a violation of Article 2. Medvedyev v France (App No. 3394/03) (29 March 2010) The case concerned the seizure of a Cambodian ship by the French authorities in order to arrest the crew, which they suspected of drugs smuggling. The ECtHR found, by 10 votes to seven, that the detention of the crew at sea was a violation of Article 5(1) (the right to liberty) upheld; and denied, by nine votes to eight the claim that there had been a violation of article 5(3) (the right to trial within a reasonable time). Alajos Kiss v Hungary (App No. 38832/06) (20 May 2010) The ECtHR held unanimously that an absolute voting ban for people placed under guardianship was a violation of Article 3 of Protocol 1 (the right to free elections). The applicant in this case had been placed under guardianship because he suffered from manic depression. As a result of the ban, the applicant was not permitted to vote during the 2006 parliamentary elections. 13751/02, 13466/03, 10200/04, 14163/04, 19993/04, 21819/04) (1 March 2010) The Grand Chamber of the ECtHR declared a number of applications inadmissible, indicating that the existing remedies in Northern Cyprus should first be exhausted before application to Strasbourg. The ECtHR emphasised that it does not force people to use these remedies and they may also await a broader political solution. However, if they do, they cannot apply to the ECtHR whilst domestic decisions are pending. This could be seen as a new example of renewed assertiveness from the ECtHR in the light of the large quantity of applications it still faces. The decision is the latest in a series of cases on contested Greek-Cypriot property in the northern, Turkish-controlled part of Cyprus. 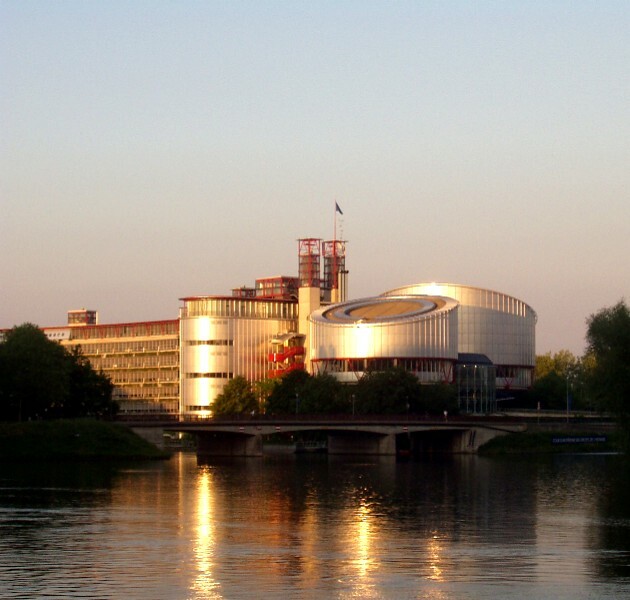 Leave a reply on "European Court of Human Rights: Easter Term Round-Up"